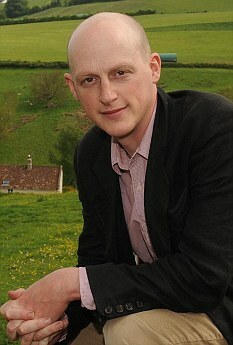 Harry Mount (born 1971) is an English author and journalist, since 2009 a frequent contributor to the Daily Mail. He has written several non-fiction books; topics include his time working in a barrister’s office, British architecture, the Latin language, and the English character and landscape. We shall fight on the beaches we shall fight on the landing grounds we shall fight in the fields and in the streets we shall fight in the hills we shall never surrender and even if which I do not for a moment believe this island or a large part of it were subjugated and starving then our empire beyond the seas armed and guarded by the British fleet would carry on the struggle until in God’s good time the New World with all its power and might steps forth to the rescue and the liberation of the old. “Without the commas, Churchillian prose loses all its careful pacing – and you’re lost, too. “Punctuation, more than anything else, turns the written word into the spoken word inside your head. Know your punctuation, and you can magically signal to the reader of your writing when to speed up; when to slow down; when to make the prose flow; when to give it a stop-start, staccato rhythm; when to pause; when to trail off into ellipsis . . .
“Without precise punctuation, who could tell the difference in meaning between these two sentences? (a) “My favourite things in the world are Abba, tartar sauce, and fish and chips on the last fairway.” (b) My favourite things in the world are Abba, tartar sauce and fish, and chips on the last fairway.” It’s the Oxford comma there that distinguishes between the keen gourmet and the keen golfer.